Tamil National Alliance (TNA) was formed with the blessings of Liberation of Tigers of Tamil Eelam (LTTE) leader late Pirabhakaran in 2002. While LTTE was engaged in armed resistance, TNA was mooted to agitate peacefully among the Tamils ,and in the Parliament to draw the attention and support of the International Community. TNA also supported the LTTE’s goal of a separate state which was mandated in the General Election of 1977 following the historical Vaddukoddai Resolution in May 1976 sponsored by the late leader SJV Chelvanayakam. During the genocidal war between LTTE and Sri Lankan Government [2006-2009] TNA struck to four demands of Tamils which were placed for negotiations in the Thimpu talks in 1985 in Bhutan between United National Party and Tamil representatives. Even during the height of the war, TNA leader Sampanthan in the Parliament in 2008 made the following principled correct statement emphatically and with just anger. “Minorities in Sri Lanka Tamils and Muslims feel that they have a place in Sri Lanka as long as they are compelled to fall in line and be slaves within a Sinhalese identity and within the contour of Sinhalese nationalism”. The war between the LTTE and Sri Lanka’s Security Forces was ended by the Sri Lankan Government in 2009 with the military, logistical support, assistance and encouragement provided by 22 countries who justified the means to end it with genocide without taking into account, the root causes of war, the 60 year legitimate sufferings and grievances of Tamils from 1948. The brutal war harvested genocidal crimes, which were ignored by United Nations, UN Security Council and International Community who closed their eyes and ears to the crimes against humanity, war crimes and genocide. Geo-politics and military interests prevailed over universal human rights. The victorious Sri Lankan Government led by Mahinda Rajapaksa won the elections who ruled as president until 2015 when he was defeated unexpectedly due to dictatorial family rule, corruption, abuse of power, financial fraud, political vendetta etc. TNA during the rule of Mahinda Rajapaksa could not raise its voices without fearing for their lives and security. As usual, Rajapaksa dangled the carrot and stick policy to cajole and dump the TNA after holding several deceptive empty round of talks with TNA who fell for the trap and tantrums of Mahinda Rajapaksa. The defeat of Mahinda Rajapaksa brought new hopes for Tamils who were determined to bring down Mahinda Rajapaksa who inflicted the worst crimes and sufferings for the Tamils. The “Good Governance” of Ranil Wickermesinghe and Maithiripala Sirisena was seen as a light at the end of the tunnel. TNA wholeheartedly supported the “Good Governance” and went all out to endorse the Government’s programs including the ‘budget’ which allocated increasing funds for defense including Security Forces. TNA leader Sampanthan became the leader of the opposition which was also the liking of Ranil/Maithiri Government. By this step the “Good Governance” devalued and stultified the constructive opposing role of the position of an opposition leader who is supposed to voice the opposition for measures and shortcomings affecting the people as a whole. However, opposition leader is yet to play the role of opposing and/or criticizing the Government’s failings particularly breach of promises to Tamils and International Community, United Nations, UN Human Rights Council [UNHRC] etc. including corruption, nepotism, and financial wrong doings. TNA has so far neither opposed nor criticized or voted against the present Government on several matters affecting the people as a whole. TNA is in many ways playing the role of a guardian and protector of the Government, despite its dismal record of performances so far. 1. The release of all Tamil political prisoners within six months made in 2017. 2. The release of civilian lands occupied by the Security Forces. 3. The prosecution of suspected war criminals. 4. The prosecution of past ministers and officials who were involved in massive frauds and misappropriations of state and public funds. 5. The promise to trace and rack down the ill-gotten wealth lying in overseas banks. 6. The setting up of an internal judicial mechanism to investigate war crimes etc. 7. The promise given to the children [who lost their mother] more than six months ago to release Raja Suthakaran from prison on compassionate grounds. 8. The current launching of North-East Development with fan fare is just another ploy and bait for the United Nations, UNHRC and International community and Tamils to cool off the burning questions of justice, accountability and reconciliation as demanded. 9. The promise of the President Maithiri to repeal the internationally condemned draconian Prevention of Terrorism Act [PTA] is now a joke. It is surprising how Sri Lanka got back its GSP+ concessions from European Union cheating the EU Officials by producing a diluted draft of a new amended Law to replace the PTA and succeeded in its cheating. Coming to TNA’s performance after 2015, one can observe it as a sorry ZERO. 1. TNA has failed to press the government to release the prisoners languishing in jail for more than 10 years. 2. TNA has failed to agitate for an International Investigation, not even an internal independent investigation. 3. TNA has failed to take appropriate action to expedite the release of lands seized by the security forces. 6. TNA’s callous unconcern and disregard to agitate and press upon the Government and International community to fully investigate the enforced disappearances of about 60,000 during the last stages of war. 8. TNA has failed to press upon the Government to grant the powers over land and police to the tottering North and Eastern Provinces as stated in the Indo/Sri Lanka Accord of 1967. 9. TNA has failed to stop the desecration and destruction of archeological evidences of religious sites relating to Tamils. 10. TNA has failed to call for an independent investigation into the circumstances surrounding the mass graves where skeletons of more than 108 including children are discovered in Mannar. It is also surprising the Government has suddenly transferred the sitting Judge of Mannar – Tamils suspect there is some ulterior motive behind this to sweep this under the carpet like what they did to the investigation of the Mass graves discovered in Chemanni, Jaffna. 11. TNA has failed to stop the employment of Sinhalese Government Officers in the North where Tamil civilians [99%] go for official matters. This causes delays, misunderstandings and communication problems to the Tamil civilians. 13. TNA has completely abandoned its election manifesto promises particularly a Federal Form of Government and opting for a united Government within a unitary state and has abandoned the call for a North East merged province as laid down in the Indo-Sri Lanka Accord 1987. 14. TNA’s deliberate refusal or remaining unreasonably silent to declare or describe the “Genocidal Killings” of Tamils during 2006 to 2009 as GENOCIDE. It is possible that United Nation’s reluctance to call it as Genocide so far could be due to TNA’s non-acceptance of the Genocide. It is to be stated that United Nations has already described the ‘Rohingya Muslims” humanitarian crisis, deaths and killings inflicted by the Myanmar Security Forces as ‘Genocide’ United Nations utter unconcern and inaction regarding the Tamils Genocide is un-excusable and unjustifiable in this matter. 15. TNA completely failed to force the Sri Lankan Government to repeal the DRACONIAN Prevention of Terrorism PTA and also not shown any interest or concern to press for the repeal of this DRACONIAN LEGISLATION which targets the Tamils. 16. TNA also failed to call for the repel of the Sixth Amendment to the constitution which strikes the fundamental rights of freedom of expression of citizen, and in this case the Amendment targets the Tamils only. This Amendment also violates the United Nations Conventions dealing with human rights. 17. TNA has not raised its opposition to the budgetary proposals to build 1000 Buddhist Viharas mostly in the North and East to Buddhisise the country. With all promises of President and Prime Minister having been swept under the carpets, TNA which has mandated to agitate first for a separate state, has now plunged into a toothless TNA, extending co-operation, supporting the Government for all its actions including voting against the ‘No Confidence Motion’ brought against the Prime Minister, while closing its eyes, ears and mouth to see, to hear or speak any evil of Government. It is obvious that TNA has preferred to better lead a life of comforts with all perks and privileges, rather than frittering its energy and time in waging protests and demonstrations against the Government, after noting that the Tamil victims themselves are doing this job for them in a better way. The Sri Lankan Government’s age old policy of divide and rule always succeeds and the present Government has fared better to break the mood and spirit of TNA while making it as a subservient party. The bait of the ‘Opposition Leadership Office’ has been swallowed with full gratitude by TNA, thereby dissipating the unity of Tamils and drowning their voices and spirit of fighting for their rights and injustices to secure justice and equal rights to live with dignity. If TNA fails to mend and change its course even now history will record them later as betrayers of Tamils causes and possibly be called as traitors to the thousands of dead souls of Tamils who sacrificed their lives for the Tamils to live with dignity, respect and security in the future. To sum up, it is apt to quote the farewell statement of His Excellency Al-Raad Al-Hussain – UN High Commissioner for Human Rights on Sri Lanka on 30th August. 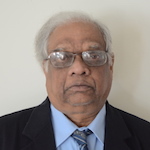 “Tamil communities dispossessed of their land by the military decades ago still live in the most basic and deplorable conditions, military refuses the request of Government to release the lands so the innocent and displaced continue to suffer terribly”. Is there any Tamil leader or leaders who can act and end the miseries of Tamil victims?